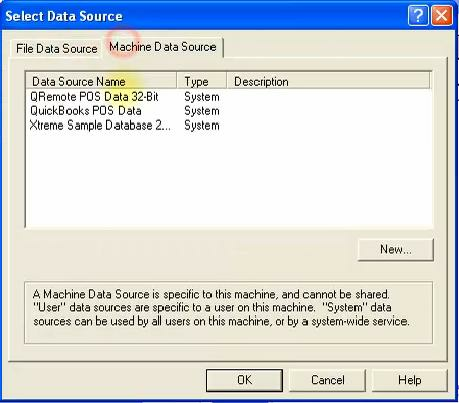 When set QODBC POS DSN to access the company file that is running in QuickBooks POS (Version 10), it will fail to connect to the company file. 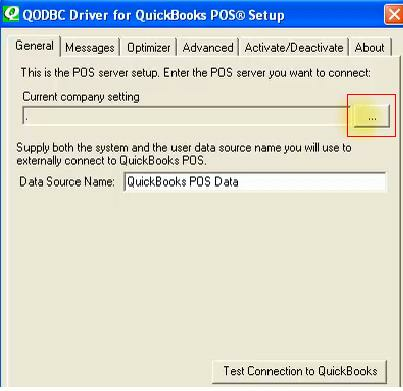 QuickBooks POS will search for the server with no response. 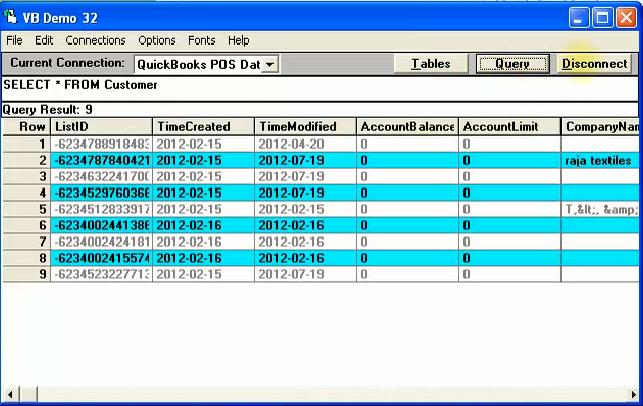 There is limitation QuickBooks POS SDK 10 that it will not able to get current open company file name & thus QODBC POS is not able to connect currently open company file. 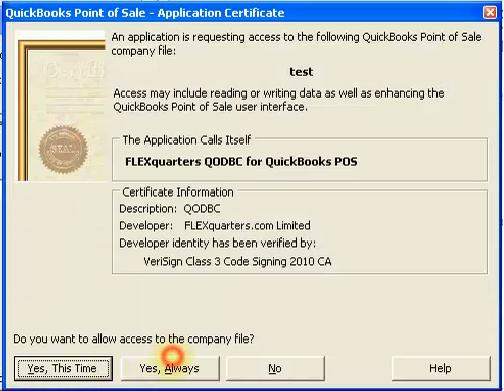 QuickBooks POS SDK Test Plus tool also required connection string It will not connect QuickBooks POS without connection string. 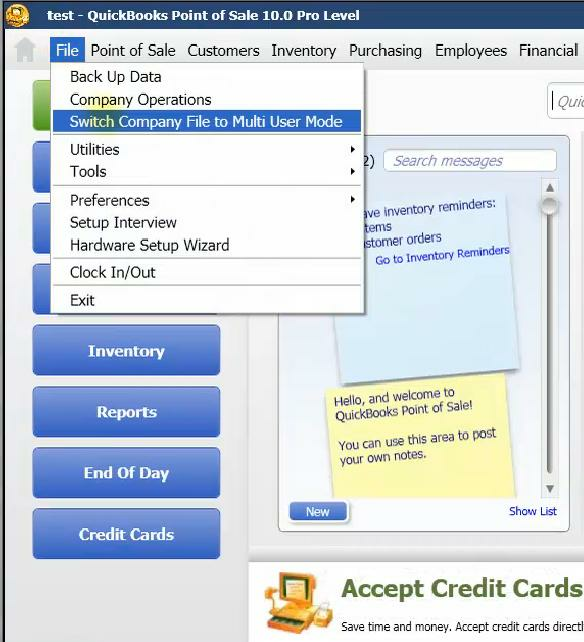 Connection String = " ComputerName=WIN-O8RQBVCMJFC;CompanyName=SampleCompany;Version=10 "
1) Please change QuickBooks POS to run in multi-user mode. Click "Switch Company File to Multi User Mode" option in File Menu.